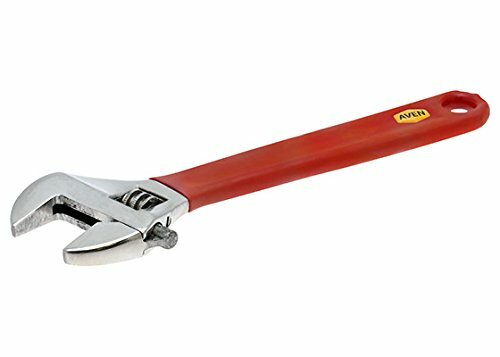 Also referred to as a crescent wrench or adjustable spanner, this adjustable wrench features auto-locking jaws that help prevent loosening or slipping. This very popular tool has a 1-1/8" jaw capacity that fits many different shapes and sizes. It is made from 400 series stainless steel with a mirror polished surface that provides excellent corrosion resistance. It also has a cushion-grip handle and handle hole for tethering, hanging or storage.